“The one constant of this neighborhood, every single day and night, has been this company,” said FDNY Commissioner Daniel Nigro. 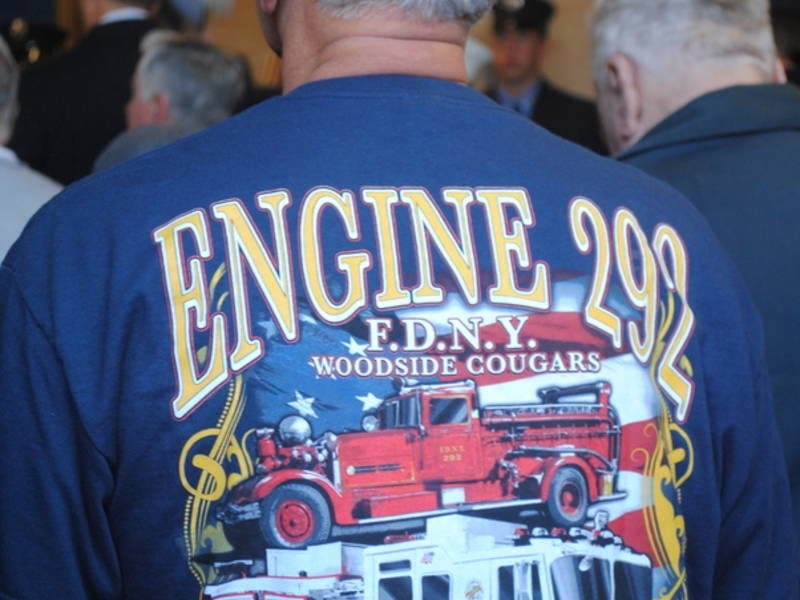 WOODSIDE, QUEENS — The FDNY’s top brass and firefighters retired and active came out Thursday to celebrate the 100th anniversary of Engine 292 on Queens Boulevard in Woodside. Nigro spoke of the decades of service the company has provided to the community since 1918. He then presented the Engine 292’s Captain James Miller with a plaque commemorating the firehouse’s century of service. The firehouse opened just as the country had just entered World War I and parts of Queens County were still farmland. Nigro pointed out that, at the time, firefighters’ only job was to battle a blaze. They did not have the equipment they have today and were not trained in to medically assist the victims of the fire they battled.